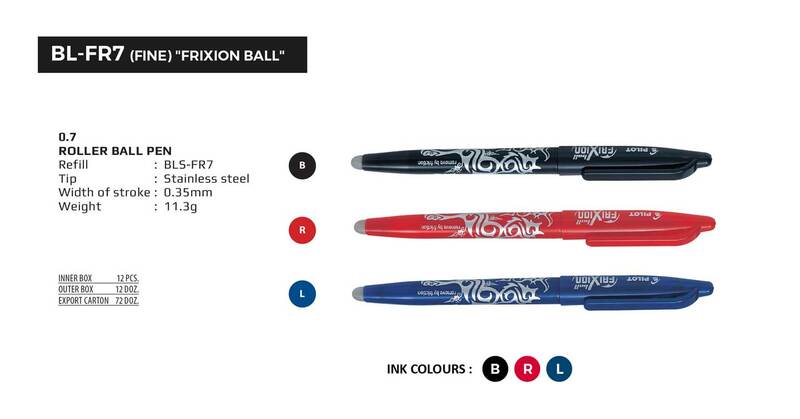 Frixion Series | Cosmos Bazar Inc.
Write, remove and rewrite on the same spot again and again. 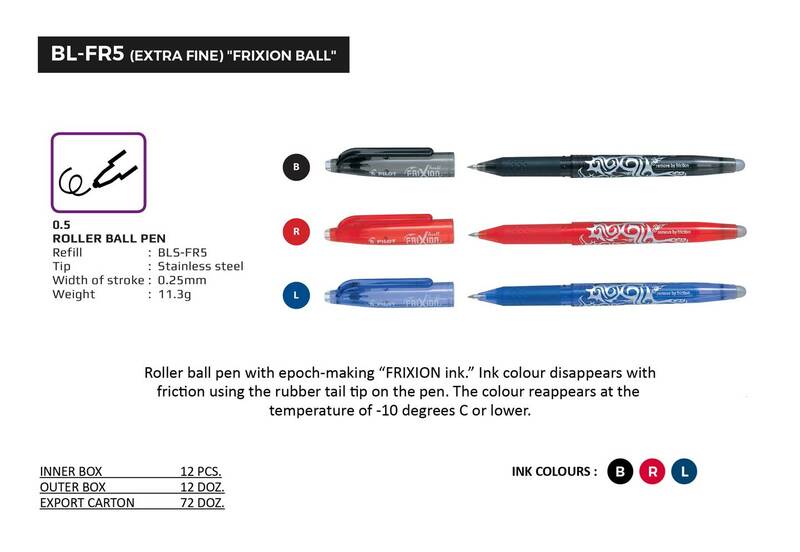 Unique thermo-sensitive gel ink disappears with friction. Mistakes vanish like magic! 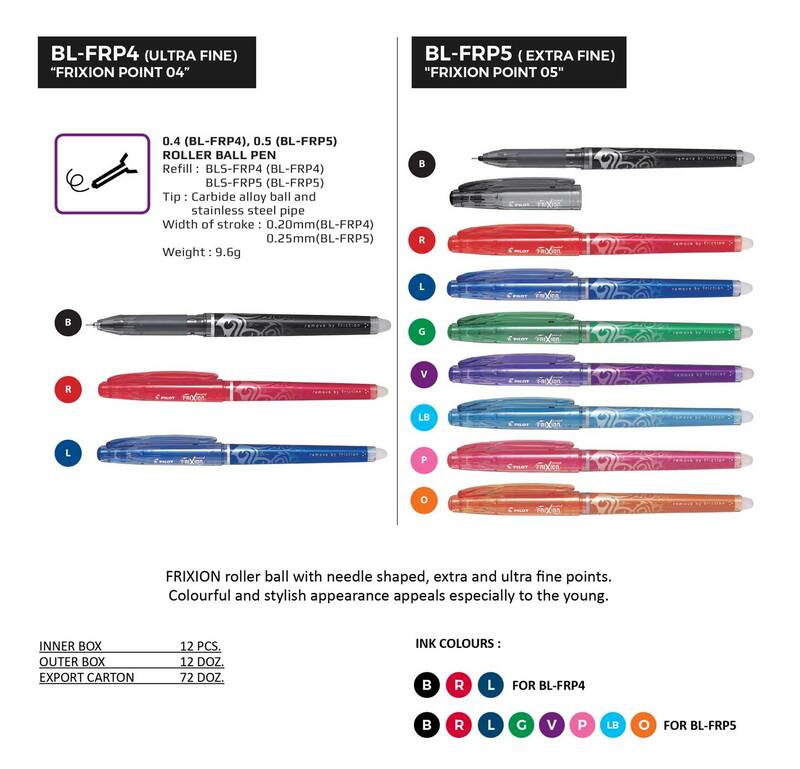 No traces or eraser residue at all. 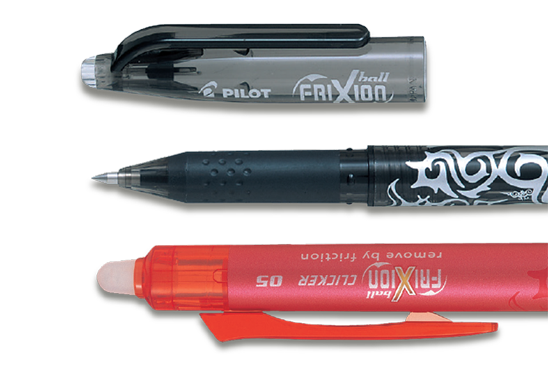 Rubberized grip ensures comfortable writing. Stylish and colorful designs appeal especially to the young.